Replacement pin & spring for P-07/09 magazine release. OEM trigger bar support spring for P-07/09 9mm/40S&W. USA made extractor spring for P-07/09 9mm/40S&W. 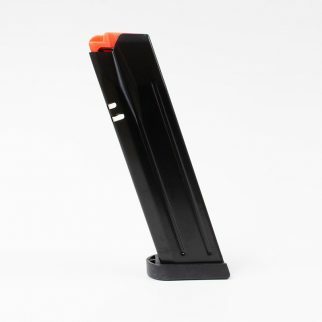 OEM extractor for P-07/09 9mm/40S&W. 1/2x28 threaded P-09 barrel in 9mm.